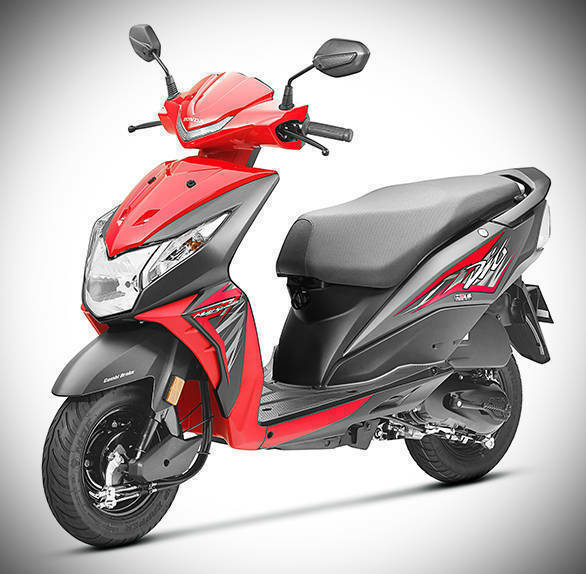 Honda has launched the BS-IV compliant Dio in India at Rs 49, 132 (ex-Delhi). The scooter has now been restyled with the addition of new graphics, and also a few additional features. With over 17.5 lakh scooters sold, the Dio is one of the most popular scooters in India. With the Government imposed BS-IV emissions regulations coming into play from April 01, 2017, Honda has now launched the BS-IV compliant Dio just a couple of days before the deadline. The Honda Dio has always been one of the most stylish scooters out on the market. Wanting to retain that image for the scooter, Honda took the BS-IV update opportunity to restyle the scooter by adding new colour options, graphics and a slightly restyled front end. The fairing and the cowl up front have been restyled with the addition of more creases and a new LED position lamp. The scooter also is available in two new colours  vibrant orange and pearl sports yellow. The 109cc, air-cooled, single cylinder engine retains the same output of 8PS and 8.77Nm but has been fettled with, to make it BS-IV compliant. The Honda Dio also gets new feature additions in the form of Automatic Headlamp On (AHO) and a mobile phone charging socket.